Taman Mini Indonesia Indah-Beautiful Indonesia in Miniature Park is located in East Jakarta near Toll Road connecting Jakarta and Bogor in West Java. Taman Mini Indonesia Indah construction started on 1971 initiated by Madame Tien Soeharto, the Late Former Indonesian First Lady. 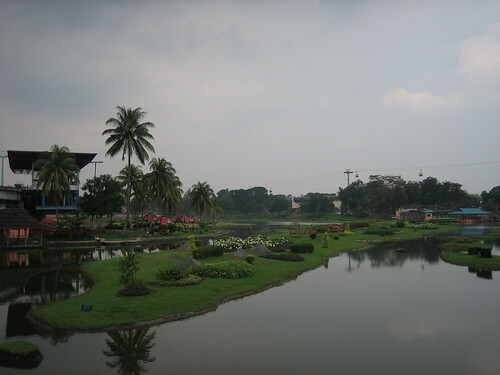 Taman Mini Indonesia Indah was opened at 20 April 1975. 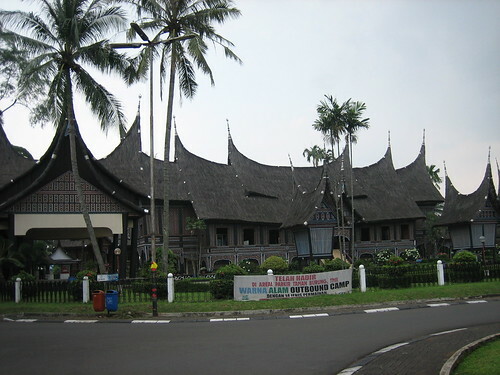 This Park provide a complete picture of Indonesia in miniature presentation beside for information, education and cultural tourism object from all Province of Indonesian Archipelago. Photo:Artificial lake with Indonesian Map on it. 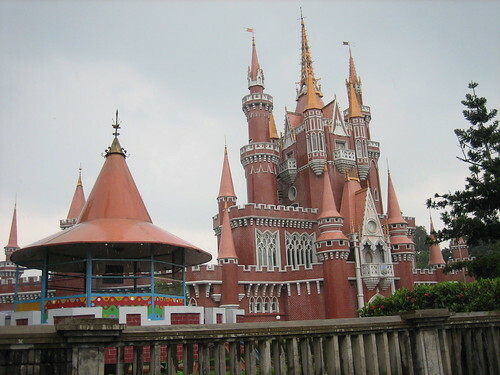 You will find out the Science and Technology exhibition Center, the Indonesian children Palace,Aviery Park,the Fresh Water Aquarium, the Golden Snail Garden and 16 museum, Indonesian Museum,Transportation Museum, Army Museum etc. For transportation mode it has the cable car, the monorail, mini train and open trailer. Indonesia is a beautiful country stretched along the equator line, Indonesian Archipelago consists of 17,508 islands where about 6,000 islands are have no habitat. Indonesia is the world’s largest archipelago state with 222 millions population (2006) it is the fourth most populous country. Jakarta the National Capital is located in Western Part of Java Island, the population in Java itself around 130 millions the most populous island. Indonesiais the land of diversity with 33 Province and has 300 ethnic group, each with cultural difference, difference dialects where sometimes it hard to understand each other but fortunately we are unity by Bahasa Indonesia (Indonesian Language).